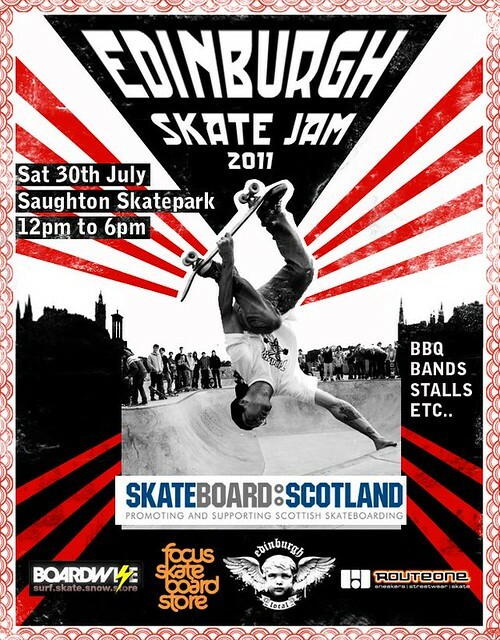 Skateboard Scotland are organising their annual skate comp at Saughton Skate park. The date is Saturday the 30th of July and will co-incide with the local community event running between 12pm and 4pm. Big Thanks for the support from the Sponsors: Boardwise, Focus, Edinburgh Local and RouteOne.